Need of a place to rejuvenate after a long work day? 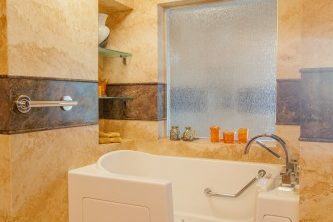 Would your home benefit by hiring a Mesa, AZ Bathroom Remodeling Contractor ? Perhaps it’s time to consider a remodel! 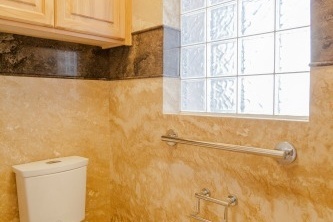 Our additions and remodels are of the highest quality and are completely customized to you and your family’s needs. 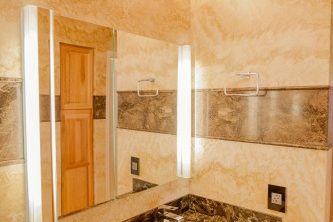 Whether you want to add onto the house, move existing closet walls or remodel the configuration of your bathroom, turn to the experts at Tri-Lite Builders! Originally, our clients came to us after seeing that we worked with ForzaStone*, on our website. Ultimately, we constructed a 130 square foot addition for their home. 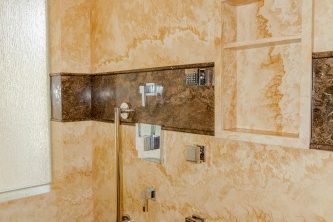 The new master bathroom addition in Mesa included expanding their Master Bedroom and Bathroom, along with a new attached workshop. 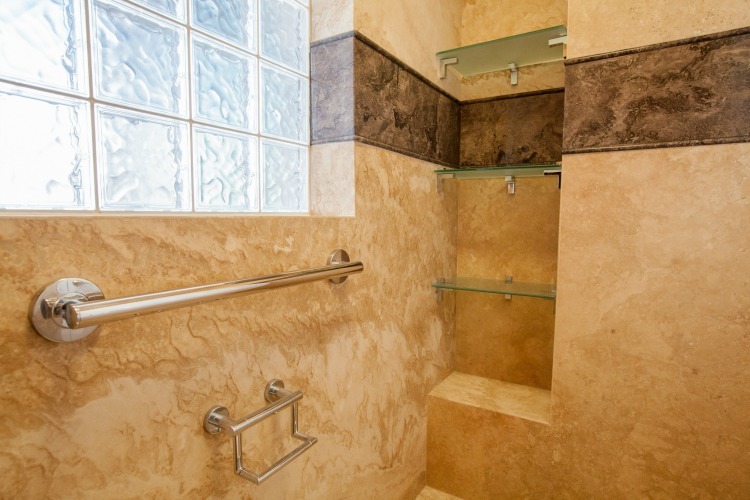 While increasing the square footage, we were able to design a new walk-in shower, with a curb-less entry. We had Forza Stone* fabricated to form the flooring, bench seat, wall and decorative border. We framed in an opening for a “rain glass” texture window, in order to provide more natural light. 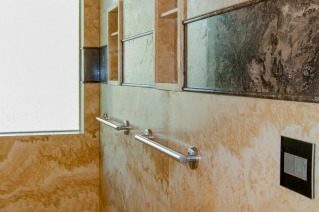 For increased functionality and comfort, we incorporated multiple recessed shampoo niches and appropriate grab bars. Also included, a Kohler Luxury Shower System which encompasses: Rain Shower Head, Hand Shower and 6 Body Sprays. 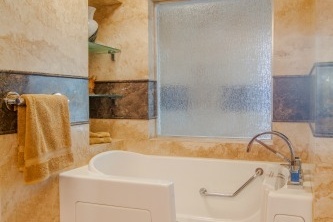 The final element in this luxurious master bathroom is a new Jetted Walk-in Tub. 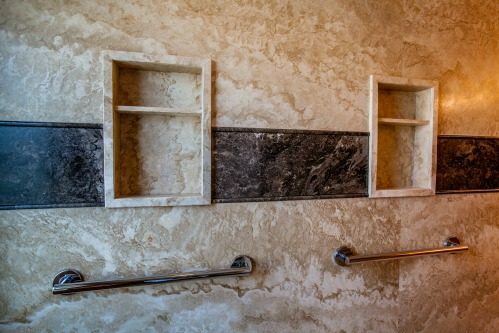 Tri-Lite Builders specializes in Mesa Bathroom remodels. We have a team of nationally certified designers and project managers that will make each stage of your remodel stress free. We will work closely with you to ensure that you are completely satisfied with our work, down to the smallest details. 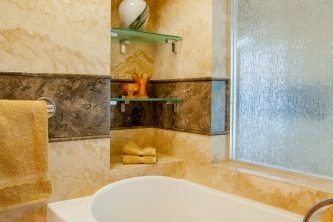 No matter what you need, we are committed to transforming your bathroom into the bathroom of your dreams. Tri-Lite Builders has been the winner of the local 2011, 2012, 2013, 2014, 2015, and 2016 NARI Contractor of the Year award for multiple categories and price ranges. 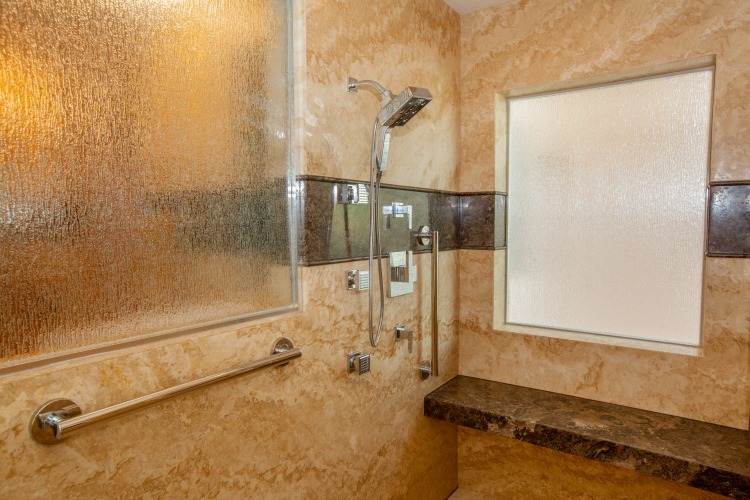 We provide only the best of remodeling designs. 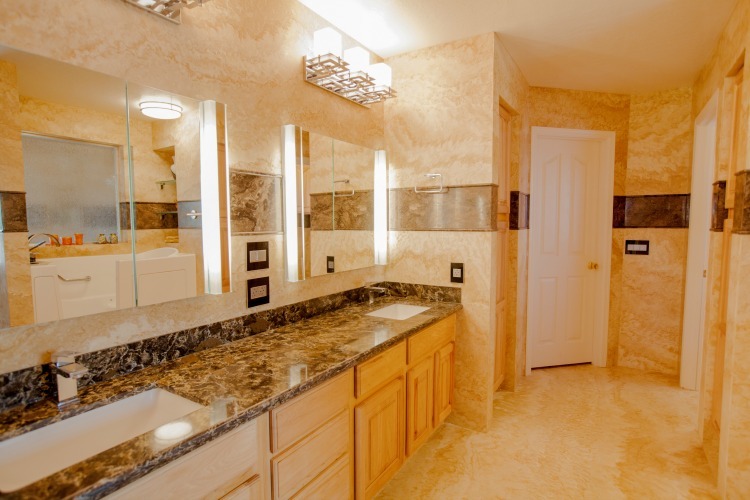 In addition, we are dedicated to each remodel or addition in Mesa and throughout the valley. We offer only the finest service possible. 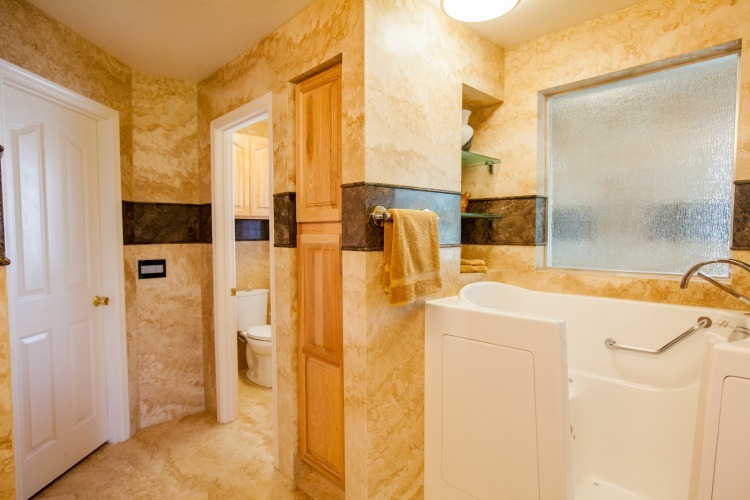 If you would like a bathroom remodel or addition in Mesa, please consider Tri-Lite Builders. For a FREE In-Home Consultation Contact us at 480-895-3442 or by emailing steve@trilitebuilders.com. At that time, we’ll discuss your project and whether we are a good fit for your needs and budget. Most of all, we would love to be a part of your home remodeling project. 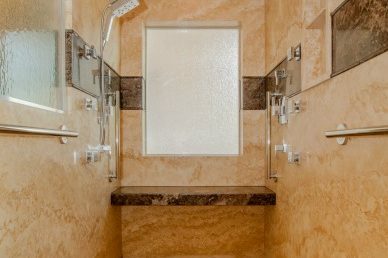 We look forward to the opportunity of being your trusted Mesa, AZ Bathroom Remodeling Contractor.